How would you feel if you would lose important visits just because your presence at the current device was not professional? We do our best to radiate your uniqueness and your business strong cards to the public by creating a solution that defines you. Be recognised immediately by your individual company creativision, colors and logo. Be ahead of others. You will be rewarded. What makes the difference is how well the product suits your needs and how this product will provide ease and revenue. 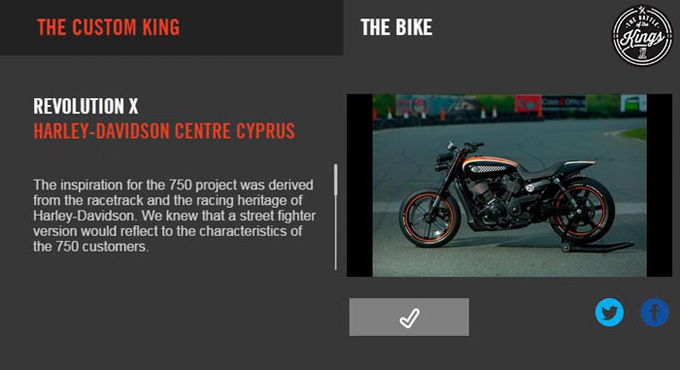 Dear Harley-Davidson Fans we are proud to introduce you the REVOLUTION X, our custom-build bike that competes at the national contest ‘’The Battle of the Kings”. Smartphone and tablet owners will use their devices to search the internet. This means that a big chunk of your traffic may come in fact from mobile devices.